Successfully saved The Best Keto Low Carb Vegetable Soup Recipe to your Calendar. You can also save the ingredients to your Grocery List. 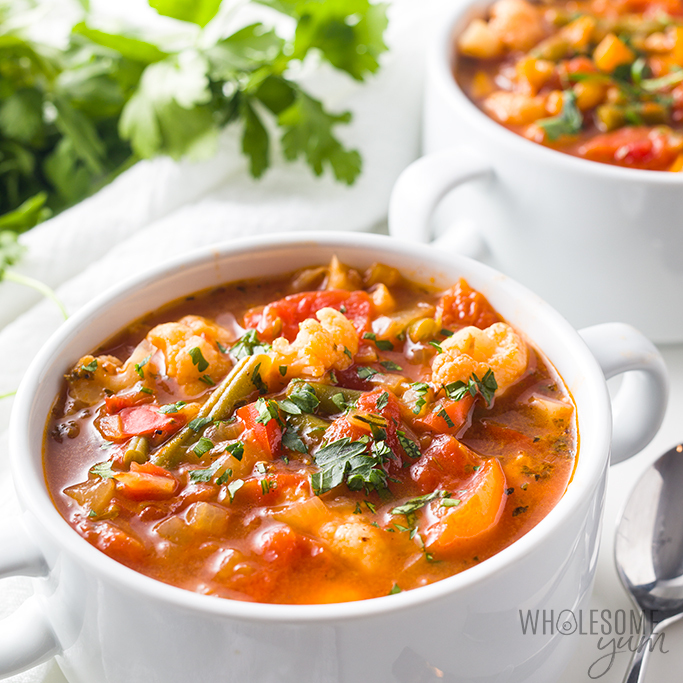 The best vegetable soup recipe ever, ready in 30 minutes! If you want to know how to make healthy vegetable soup or keto low carb vegetable soup, this one checks all the boxes.